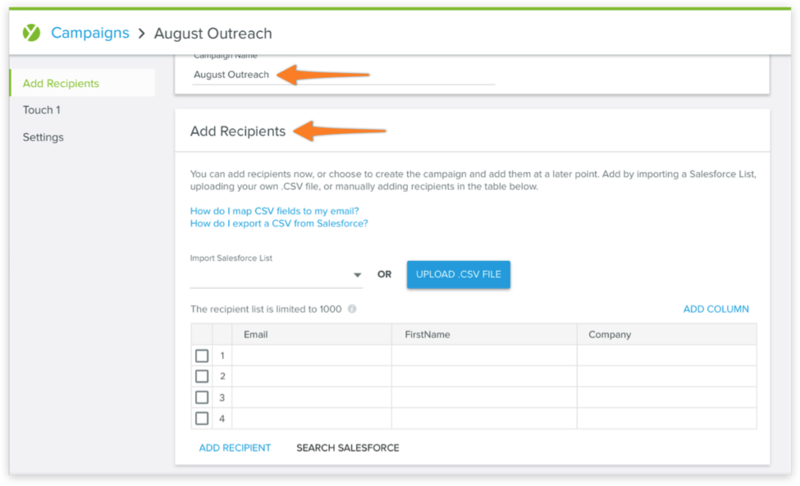 Today’s going to be a good day and here’s why: You get a major inbox improvement with Campaigns. 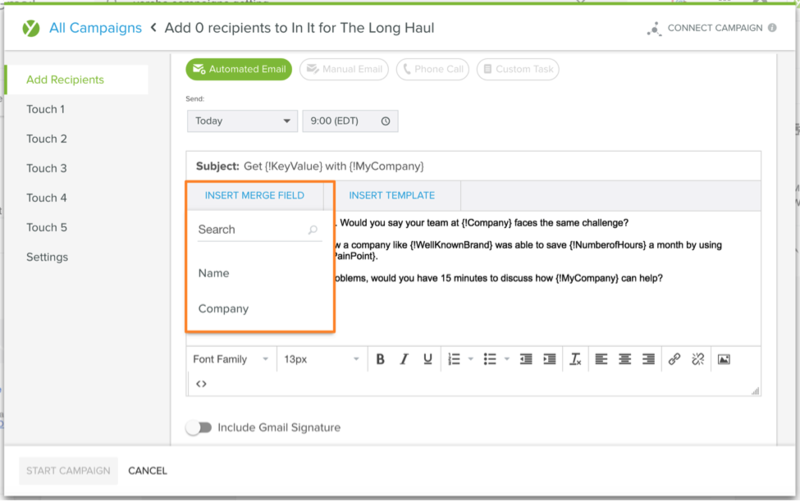 As a Mail Merge user, we wanted to reassure you of the benefits Campaigns has to offer and how it takes your favorite tool to the next level. Not a Yesware user? Unleash the power of Campaigns with a four-week trial. 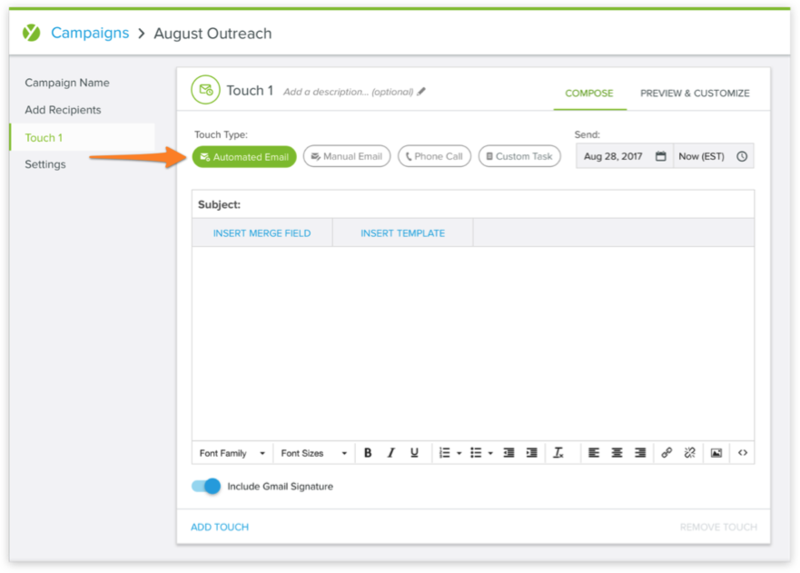 Instead of simply sending automated emails, Campaigns takes things to the next level by including four different kinds of touch types. Automated email: Schedule your email to send at the time of your choosing. No action required on your end. 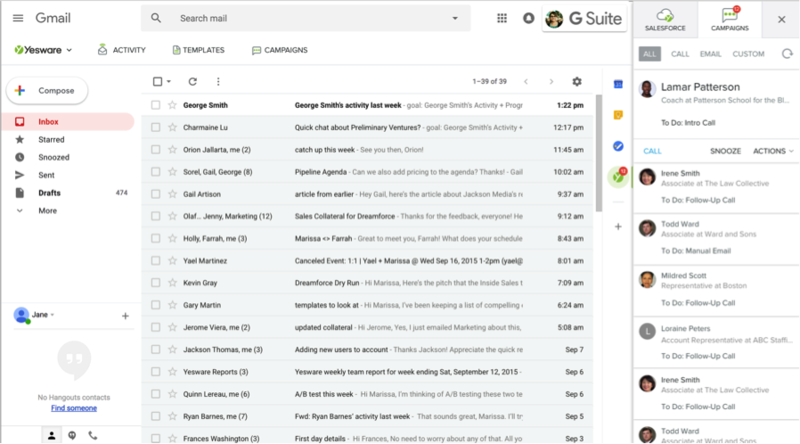 Manual email: Send the email in real-time. Works well for touches that require personalization. Phone call: Prompts you to make a call and allows you to log the outcome and save it as a task to Salesforce. Custom task: Alerts you to carry out any task that isn’t a call or an email. For example: You could set a custom task to send a message to your recipient on social media. Note: This also includes Out Of Office detection. If you receive an out of office response from a recipient, you’ll want to continue your campaign at a different speed (i.e. when they are in the office). You’ll see a card in the sidebar that reminds you to follow up when the time is right. If you choose to set a manual task (think: custom task, manual email, or phone call), you shouldn’t have to rely on yourself to remember when it’s time to do it. With Mail Merge, you could only schedule a series of emails that all sent at 9 AM. With Mail Merge, you weren’t able to automatically include your Gmail signature in your outreach. This is a quick and easy way to remember to include your signature. You shouldn’t have to start from scratch every time you want to send a campaign. So, we made it super easy to add recipients to an existing campaign. 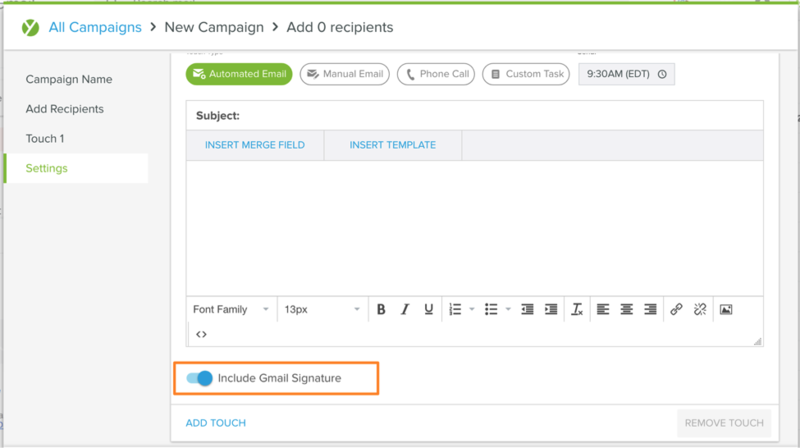 Users can now send campaigns to up to 1,000 recipients at once. What it means for you? Getting more work done at once by adding recipients in bulk numbers. 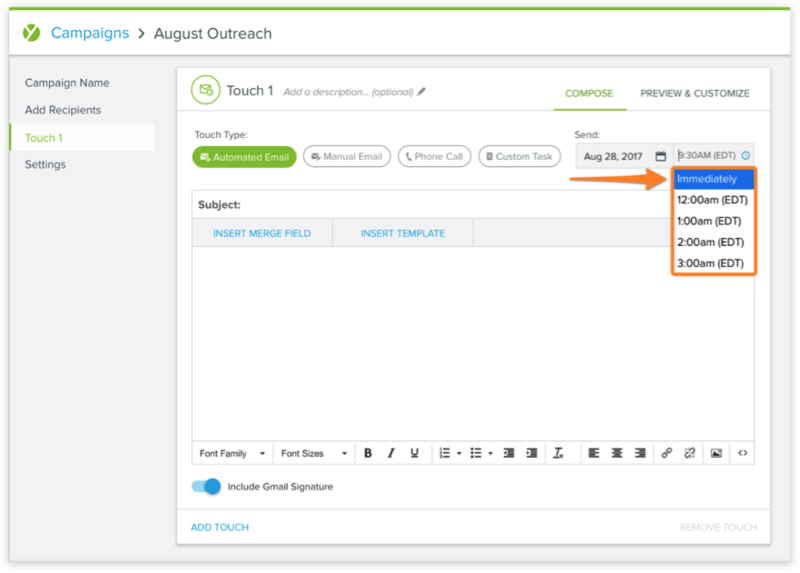 Make your inbox work for you by filtering, sorting, and managing the content of your campaigns. We’ll continue to invest in this one unified Campaign feature, which combines the best of Mail Merge and Touchpoints. Stay tuned for more updates.